Powerplant: Two General Electric T700-GE-401 turboshafts, each rated at 1,723 shp. Weights: Empty 10,215 lb. ; loaded 14,750 lb. 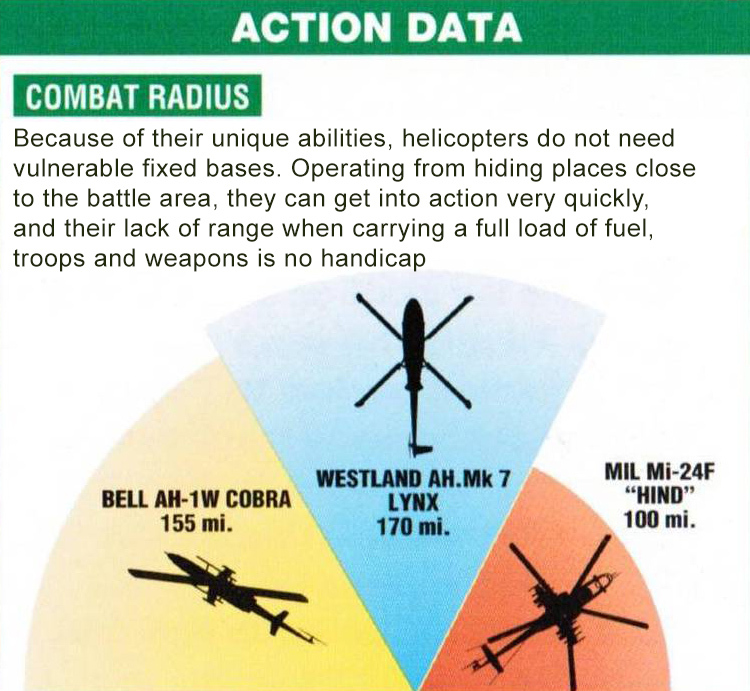 Weapons: One M197 20-mm cannon in undernose turret and four underwing hard points for guided antiarmor, air-to-air missiles, Minigun pods or unguided high explosive rockets. Fuselage length 45 ft. 6 in. Height 13 ft. 6 in. Rotor disc area 1,809 sq. 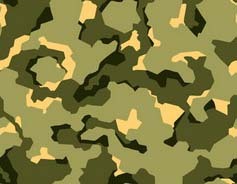 ft.
Like its serpentine namesake, the Cobra is designed to fight down among the trees and bushes where it can lurk undetected until it is time to rear up and strike. 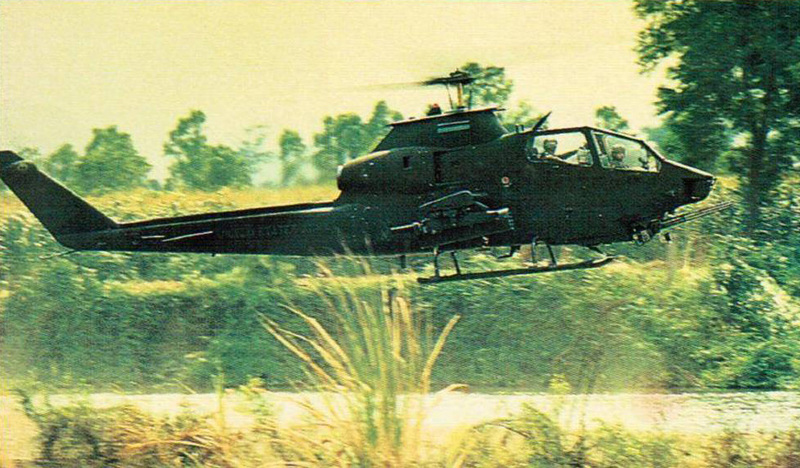 Early Cobras carried the Minigun, a six-barrel machine gun, which fired at rates of up to 100 rounds per second. 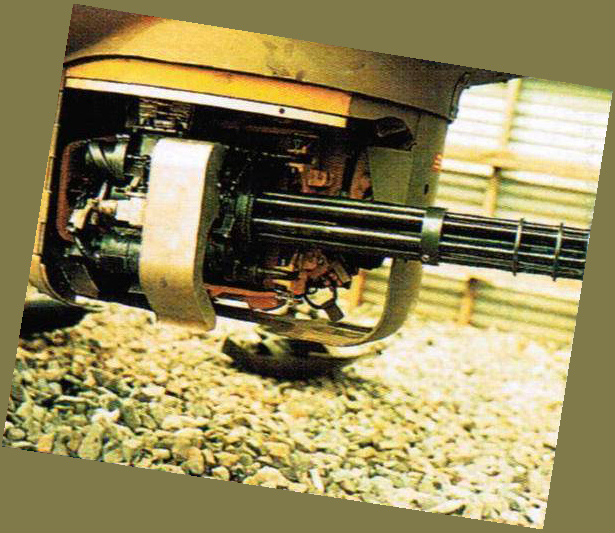 Today the slower but harder-hitting M197 20-mm cannon is fitted. 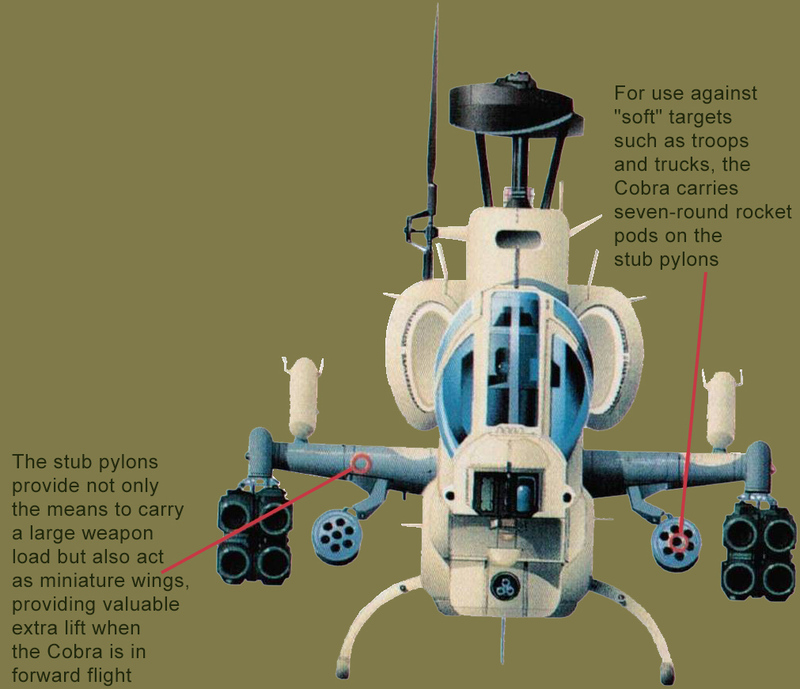 As well as taking out enemy tanks, the Cobra is charged with the vital task of escorting assault helicopters. 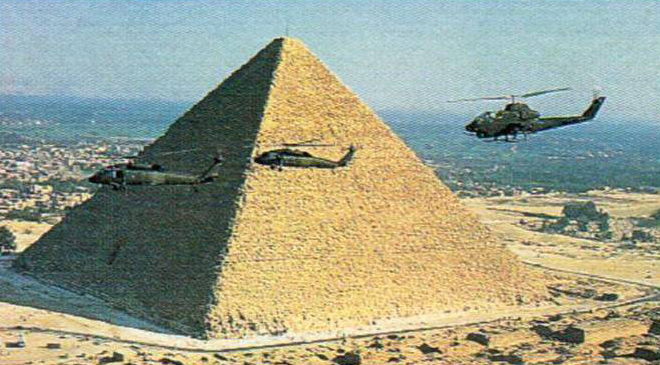 These Army helos are seen on exercise in Egypt.